Preserving capital and generating safe income are core goals in retirement. So not surprisingly, conservative investors often worry about when the next recession will occur and how it will affect their portfolios. Safe dividend-paying stocks can be an appealing choice for retirees who desire a predictable income stream that can hold its ground regardless of economic conditions and short-term stock price fluctuations. In fact, over 240 dividend-paying stocks in our database maintained or increased their dividends each year during the financial crisis while also outperforming the S&P 500’s 55% peak-to-trough plunge by more than 20%. In other words, there were some excellent recession proof investments a risk averse income investor could have owned prior to the last downturn. But what about the next recession? In this article, we analyzed 20 of the best recession proof dividend growth stocks. These companies have dividend yields near 3% or higher, stable business models, solid balance sheets, and proven commitments to maintaining and growing their dividends in all manner of economic, industry, and interest rate conditions. Each stock also meaningfully outperformed the S&P 500 during the financial crisis. Simply put, these dividend growth stocks are worthy candidates to consider as part of a diversified portfolio to help you sleep well at night during the next recession, confident that your passive income is as safe as it can be and likely to keep growing your wealth over time. Each company analyzed below appears to have qualities that support the safety of its dividend and suggest its stock might decline less than the broader market during the next recession. These are income investments that can likely help investors preserve their capital and stay the course during rocky times. The stocks are ordered by the length of their dividend growth streaks. Public Storage went into business in 1972 and is the largest self-storage REIT in country with more than 2,400 storage rental properties in 38 states and over one million customers. The company also owns a 42% stake in PS Business Parks (PSB), which leases out commercial space to small and mid-size businesses. Self-storage has proven to be a sticky business since moving is such a headache. In fact, the self-storage industry’s free cash flow per share fell by less than 5% during the financial crisis, according to a 2013 report by Bank of America Merrill Lynch. As long as people continue experiencing major life events such as an unexpected move or divorce, there will be demand for self-storage warehouses. While consumers spend less during recessions, they still need a place to store their stuff. Simply put, the industry is very stable and predictable with a slow pace of change – all good things for dividend growth investors worried about the next economic slowdown. Public Storage is particularly advantaged since it is larger than its top three competitors combined and locates many of its facilities in close proximity to each other. This allows the REIT to leverage its costs (property management, maintenance, and advertising) across the company to achieve better profitability during the good times and the bad. As population density increases and the population continues aging, demand for storage properties should rise over the long term, providing a nice tailwind for Public Storage. While the firm’s quarterly dividend has remained frozen since late 2016, the payment appears to be on solid ground and has an impressive track record; Public Storage has paid uninterrupted quarterly dividends since 1981. The company also has a very conservative balance sheet, earning it a strong investment grade credit rating, and should remain a cash cow given the lack of capital required to run this business. Therefore, Public Storage appears to be a quality recession proof stock to consider. Brookfield Infrastructure Partners is a diversified utility limited partnership that owns 35 global infrastructure assets on five continents. Some of the partnership’s key assets include electrical transmission lines, railroads, toll roads, natural gas pipelines, global ports, telecom towers, and fiber optic lines. 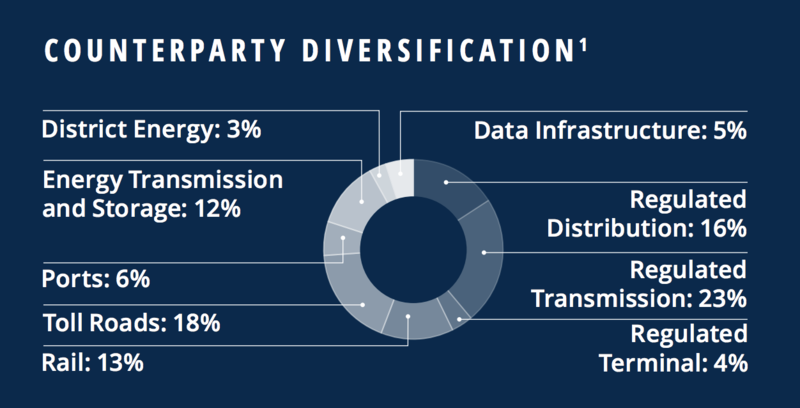 Brookfield Infrastructure Partners’ diversification by business segment (no business unit is more than 25% of cash flow) and geography helps to ensure very stable cash flows. Furthermore, 95% of the company’s cash flow is either secured by long-term, fixed rate contracts or derived in regulated industries. In addition, 75% of cash flow has escalators indexed to inflation, and 65% has no volume risk. As a result, Brookfield Infrastructure Partners has extremely stable and recession-resistant cash flow that has allowed it to steadily grow its distribution since its IPO in 2008. The firm’s management is provided by Brookfield Asset Management (BAM), the world’s largest infrastructure, utility, and real estate manager, which has been operating for 115 years and has over $250 billion in assets under management. Brookfield Asset Management puts together highly profitable investment opportunities, usually with cash yields of 12% to 15%, which Brookfield Infrastructure Partners takes part in and thus predictably expands its asset base while earning solid returns. The LP also has a large organic growth backlog in which it usually reinvests about 30% of its annual cash flow to grow without the need for acquisitions. Management believes that over the long term the LP’s organic growth projects alone will be enough to grow cash flow per unit 6% to 9% per year, supporting 5% to 9% annual distribution growth. Combined with Brookfield Infrastructure Partners’ generous yield, this is what drives the ambitious 12% to 15% long-term total returns that management publicly targets. Looking further ahead, the partnership should benefit from the additional $100 trillion in infrastructure investment the G20 estimates the world will need by 2040 to upgrade infrastructure in the developed world and support growth in emerging markets. While Brookfield Infrastructure Partners has similarities to master limited partnerships (MLPs), there are a number of key differences that make the stock more attractive. For one thing, the LP is designed to specifically not generate unrelated business taxable income, or UBTI. This makes the stock suitable for owning in retirement accounts such as IRAs. It also has a more conservative payout ratio and lower incentive distributions, which reduces the firm’s cost of capital and keeps more marginal cash flow in the pockets of unit holders. All of these components make Brookfield Infrastructure Partners a quality recession proof stock to consider. While the firm’s track record is not as long as most of the other businesses on this list, the stock has been less volatile than the broader market. For example, shares of BIP lost 43% in 2008 following their IPO on January 10 that year, but the S&P 500 dropped 51% during that time. The business has since matured and grown significantly in size since then (over $4 billion in revenue today compared to under $300 million in 2009). Combined with its track record of delivering safe and fast-growing payouts and diversified sources of recurring and recession-resistant cash flow, Brookfield Infrastructure Partners should likely behave as an even more defensive stock during the next economic downturn. Duke Energy is the largest electric utility in the country and serves 7.6 million customers in six states across the Southeast and Midwest regions of the U.S. The firm also has 1.6 million natural gas customers, resulting in a highly diversified, stable, and regulated cash flow stream. In fact, close to 90% of cash flow is from its regulated businesses while the remainder is from its merchant power division and midstream (energy transportation) business which also enjoys long-term contracts with investment grade counterparties. As a result, Duke Energy has one of the industry’s largest approved growth backlogs, which totals $37 billion in planned investment between 2018 and 2022 that should deliver predictable returns. The utility believes these opportunities will help it achieve long-term earnings per share growth (and thus dividend growth) of 4% to 6% per year. Another appeal of Duke Energy as a recession-resistant investment is its financial health. The company maintains an excellent A- credit rating which has allowed Duke Energy to line up all the financing it needs to execute on its growth plan. However, the firm’s dividend track record is even more impressive. Not only has Duke Energy been growing its payout every year since 2007, but it’s paid uninterrupted dividends for over 90 years. This demonstrates how its super stable, wide moat business model is great for supporting generous and steadily rising dividends during all economic environments. The other attribute conservative income investors might appreciate is the stock’s low volatility. Even during market corrections DUK shares tend to fall far less than the market. For example, in the most recent correction in 2018 Duke shares fell just 5.2% while the broader market dipped 10%. And during the financial crisis Duke Energy’s shares slumped just 34% while the S&P 500 tumbled 55%. In other words, Duke Energy, with its strong balance sheet, highly stable cash flow, and steady dividend growth, is a good choice for low-risk income investors during recessions and bear markets. Verizon is a giant telecom business with more than 116 million wireless retail connections, 5.9 million Fios internet subscribers, and 4.6 million Fios video subscribers. The company also has growing media and telematics businesses, although they accounts for less than 10% of total sales today. Wireless operations, which include voice and data services and equipment sales, generate more than 85% of Verizon’s EBITDA (earnings before interest, depreciation, and amortization). The company’s 4G LTE network is available to more than 98% of the country’s population, and Verizon is officially the largest wireless service provider in the U.S. While peers such as AT&T have pursued splashy acquisitions to further blur the line between the telecom and media industries, Verizon has largely remained focus on delivering reliable wireless and wireline services over the best communications network in teh country. The firm invests more than $15 billion annually to boost the capacity and reliability of its wireless network. As a result of its substantial investments in capital equipment and spectrum licenses, Verizon typically sits at the top of Root Metrics’ rankings of wireless reliability, speed, and network performance. As long as Verizon continues investing in its leading network coverage and architecture (the firm appears positioned to be a leader in 5G), the company should continue maintaining a massive base of subscribers. Disrupting Verizon’s base of customers would be next to impossible barring a revolutionary change in network technologies due to the industry’s capital intensity and slow pace of growth. Demand for wireless services is recession proof as well thanks to the importance of connectivity in today’s world. Verizon’s sales slipped just 1.2% during the financial crisis. Management raised the dividend, and Verizon’s stock outperformed the S&P 500 by 16% from late 2007 through early 2009. Looking ahead to the next downturn, Verizon does have more debt compared to pre-2008 as a result of its $130 billion deal in 2014 to acquire Vodafone’s 45% interest in Verizon Wireless. However, management is quickly reducing leverage, the firm maintains an investment grade credit rating, and Verizon’s payout ratio is significantly lower than it was before the last recession. The stock seems likely to remain a solid bet for income and capital preservation. Digital Realty supports the data center needs of more than 2,300 customers across industries such as financial services, information technology, manufacturing, and more. Some of its key customers include Facebook, IBM, Oracle, Verizon, and LinkedIn although none exceed 7% of total rent. The company’s portfolio consists of more than 190 data centers located across over 30 metro areas. Data centers provide secure, continuously available environments for companies to store and process important electronic information such as transactions and digital communications. They can also serve as hubs for internet communications in major metropolitan areas. Digital Realty’s total rent is comprised of both rent from turn-key services, in which it provides everything but the servers, as well as a powered base building where customers choose to provide the power components used in the data center (HVAC, battery, generator, electrical, etc.) and design it all themselves. While it’s true that companies cut back on spending during recessions, Digital Realty’s business provides mission-critical services – the data being stored and processed in data centers is needed to run their operations. As a result, Digital Realty enjoyed an impressive utilization rate of 95% in 2009. The company’s strong occupancy results during the last recession were also helped by customers’ high switching costs. Specifically, Digital Realty cites that it costs customers anywhere from $10 million to $20 million to migrate to a new facility. Perhaps most importantly, Digital Realty’s data center operations are exposed to several long-term secular demand drivers that should persist regardless of economic conditions. Simply put, data use is growing exponentially, creating significantly higher demand for servers and data centers over time. Growth of internet traffic, over-the-top-video, cloud, and mobile data traffic is expected to range from 20% to 50% annually over the next several years, per Digital Realty. 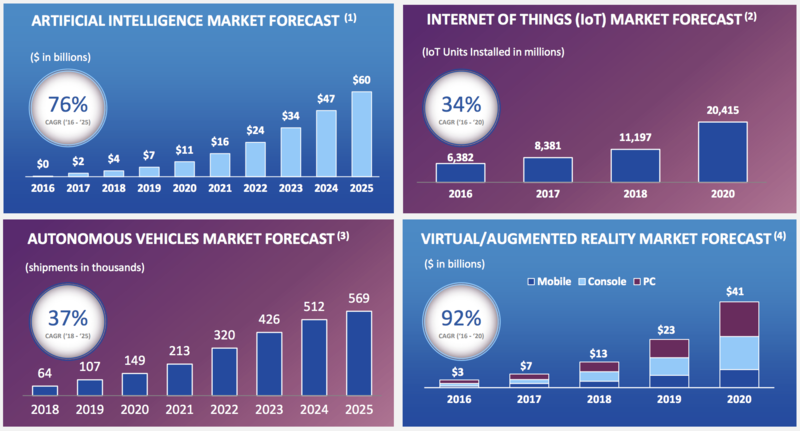 Artificial intelligence, self-driving vehicles, virtual reality, and the Internet of Things are expected to be key drivers. With the wind at its back, Digital Realty has increased its dividend each year since 2005. The REIT boasts an investment grade credit rating and has a reasonable payout ratio that actually sits below its 2008 level, providing even more cushion for whenever the next recession may hit. With roots tracing back to 1896, WEC Energy Group has grown through a handful of major acquisitions to become one of the nation’s biggest utilities. The company’s last major deal, its $9.1 billion purchase of Integrys Energy in 2015, created the largest electric and natural gas utility in the Midwest with 4.4 million customers in Wisconsin, Illinois, Michigan, and Minnesota. Regulated utilities are often some of the most dependable businesses you can own. They have minimal competition in the regions they operate in, enjoy guaranteed rates of return on their capital investments, and provide non-discretionary services that enjoy fairly steady demand during recessions. WEC is particularly impressive from a reliability perspective because it is the only regulated utility to beat guidance every year for more than a decade. The company’s track record largely reflects management’s discipline and conservatism with how they run the business, as well as the constructive relationships WEC has with state regulators. 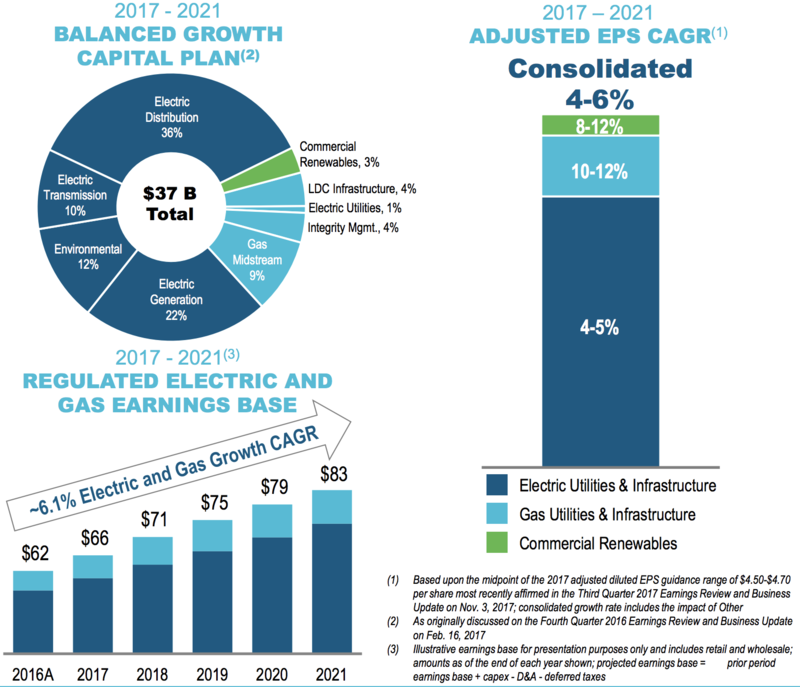 Looking ahead, management expects the utility’s capital spending plan to result in 5% to 7% annual earnings per share growth over the next five years. That should keep the dividend moving higher as well, especially considering WEC’s other strengths. Specifically, the company is gradually increasing its diversification by state jurisdiction and fuel type, maintains a strong investment grade credit rating, targets a conservative target payout ratio of 65% to 70%, and does not need to raise equity capital to fund its growth spending. Simply put, WEC Energy Group’s dividend should remain on solid ground during the next downturn, and the stock has proven to be a solid recession proof investment as well. While the S&P 500 plunged 55% from October 2007 through March 2009, WEC shares only lost 18%. When times get tough, people still have to eat. And baked goods are an important and often very affordable part of the American diet. Founded in 1919, Flowers Foods is the second-largest producer of packaged bakery foods in the country. The business sells a variety of breads, buns, rolls, tortillas, and snack cakes under popular brands such as Nature’s Own, Tastykake, Wonder Bread, Whitewheat, and Dave’s Killer Break. Flowers Foods’ products are distributed by a network of independent distributors to supermarkets, mass merchandisers, restaurants and convenience stores that collectively reach 85% of the U.S. population. The U.S. fresh bakery market exceeds $30 billion in value and grows slowly each year, resulting in a fairly stable competitive environment. Flowers Foods has developed a portfolio of strong brands over many decades to ensure it remains a leader in this space. For example, the firm’s Nature’s Own Brand was introduced in 1977 and is now the number one bread in America thanks to the strong reputation it has built by never using artificial colors, flavors, or preservatives in its products. Similarly, the Tastykake brand has been around since 1914, and Wonder Bread enjoys 98% consumer awareness. Flowers Foods also enjoys over 50% market share in organic bread with its Dave’s Killer Bread brand leading the pack, positioning the business well for consumers’ shifting preferences for healthier, more natural foods. The company’s market leadership and economies of scale, coupled with the recession-resistant nature of bread, have made Flowers Foods a cash cow over the years. As a result, management has been able to increase the company’s dividend each year since the firm’s first payout was made in late 2002. Safe, growing dividends are likely to continue for the foreseeable future regardless of how the economy performs. During the Great Recession, Flowers Foods’ sales dipped just 2.6%, demonstrating the resiliency of its fresh breads. Management even increased the dividend by 17% in early 2009. With an investment grade credit rating, stable product portfolio, and excellent free cash flow generation, Flowers Foods appears to be a reasonable recession proof stock to consider for the next downturn. Magellan Midstream Partners is one of the few MLPs with a particularly impressive track record of delivering safe quarterly income growth in all manner of economic, industry, and interest rate environments (since 2001). Magellan owns over 10,000 miles of crude oil and refined product pipelines which are used primarily to transport products such as gasoline and diesel fuel from refineries, helping them eventually reach gasoline stations, truck stops, airports, and other end users. The beauty of this refined product pipeline network is that while demand is highly stable, it’s not growing by much each year. As a result, rivals have little incentive to spend billions of dollars replicating it, so Magellan enjoys a wide moat and high profitability on these contracted pipelines. Importantly, approximately 91% of Magellan’s cash flow is insensitive to commodity prices, which has helped the business grow its distribution at an average annual rate of 12% for 17 straight years. Another competitive advantage that Magellan has is that it was one of the first MLPs to buy out its sponsor’s incentive distribution rights (IDRs) in 2010. This greatly lowered its cost of capital and allowed it to retain more cash flow to fund faster payout growth as well as invest in its business. As a result, Magellan hasn’t issued new units (other than via its DRIP plan) in eight years and was one of the first self-funding MLPs. Management has also been highly disciplined with its growth investments, mostly avoiding large acquisitions in favor of more conservative organic growth projects. Magellan is also very conservative with its use of debt. For example, even during the financial crisis when most MLPs had leverage ratios (Debt / adjusted EBITDA) of 8x, Magellan’s leverage never went above 4x. Magellan’s leverage ratio remains conservative today which is why the firm also enjoys the industry’s highest credit rating (BBB+) and some of the lowest borrowing costs. That in turn helps ensure high profitability on its investments to keep the distribution safe and growing at a steady clip. For these reasons, Magellan usually plays the role of a low volatility stock. During the financial crisis MMP shares fell just 30%, or about half as much as the broader market. Magellan’s combination of wide moat assets, a strong balance sheet, and disciplined management mean it has what it takes to ensure distribution safety and continued growth during a recession. Enterprise Products Partners went public in 1998 and is one of America’s largest and oldest midstream master limited partnerships (MLPs). 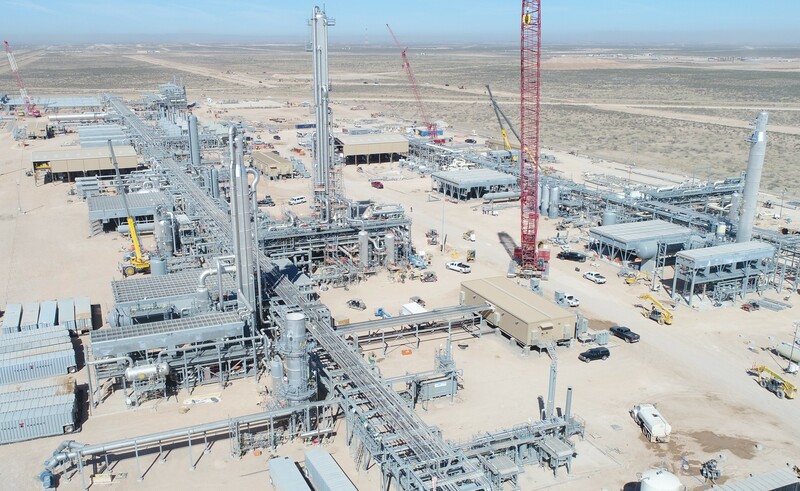 Over 20 years the firm has invested more than $60 billion to build one of the country’s largest and most integrated oil, gas, and natural gas liquid (NGL) gathering, storage, transportation, processing, and export networks. That network includes more than 50,000 miles of gas, oil and NGL pipelines, as well as 18 export terminals that handle over 25% of America’s growing oil exports. Like most midstream MLPs, Enterprise Products Partners operates as a tollbooth-like business, with nearly all of its cash flow secured under long-term (10- to 20-year) fixed-rate, volume committed contracts. This has allowed its distributable cash flow (similar to free cash flow for MLPs) to remain extremely stable over time, even during the recent oil crash. As a result, Enterprise Product Partners has been able to increase its distribution every year since 1998. That includes over 55 consecutive quarterly hikes. The firm has a bright future ahead of it, too. NGL transportation and processing provides the majority of the company’s profits. 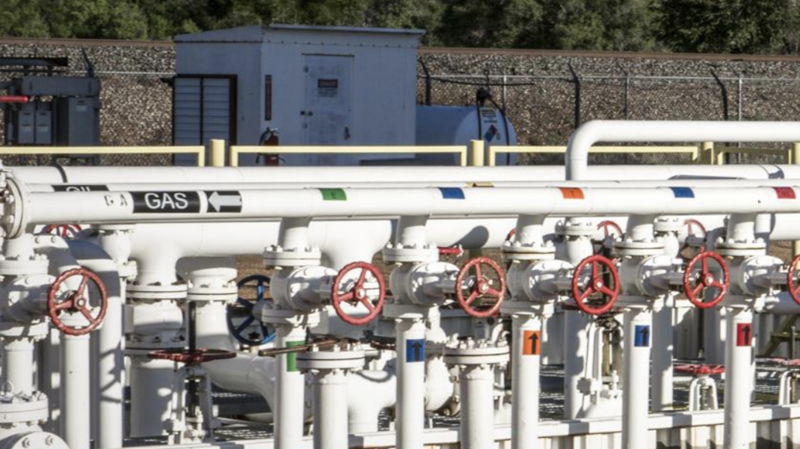 Enterprise Products Partners is doubling down on this area because the shale gas boom has resulted in such an abundance of NGLs (which are used to make plastics) that there is a large and fast-growing export market for refined NGL products such as ethylene and propylene. As a result, the petrochemical industry is spending billions of dollars to build new export facilities on the Gulf Coast to take advantage of America’s low-cost production by shipping more products to Europe and Asia. This is why Enterprise Products Partners has been spending a fortune to maximize its NGL processing capacity and oil export facilities. Simply put, the U.S. energy boom will require substantial infrastructure investment for the foreseeable future, keeping Enterprise Product Partners’ growth backlog well stocked with profitable projects. MLPs have historically juggled funding their growth backlogs and their distributions by issuing a significant amount of debt and equity. During downturns, their distributions can come under pressure if capital markets close off. Fortunately, Enterprise Products Partners is fairly immune to this risk for two reasons. First, the firm enjoys the industry’s top credit rating of BBB+. Second, it’s also self funding its growth, meaning replacing the need to sell new units by retaining more internally generated cash flow instead. Management’s long-term plan was to retain 33% of cash flow (representing a conservative 1.5 distribution coverage ratio) by the end of 2019 but the MLP actually achieved that in the first half of 2018. In other words, Enterprise Products Partners’ strong long-term growth potential is now independent of its unit price; one of the lowest risk MLPs has become even safer and seems likely to be a solid bet during the next recession. 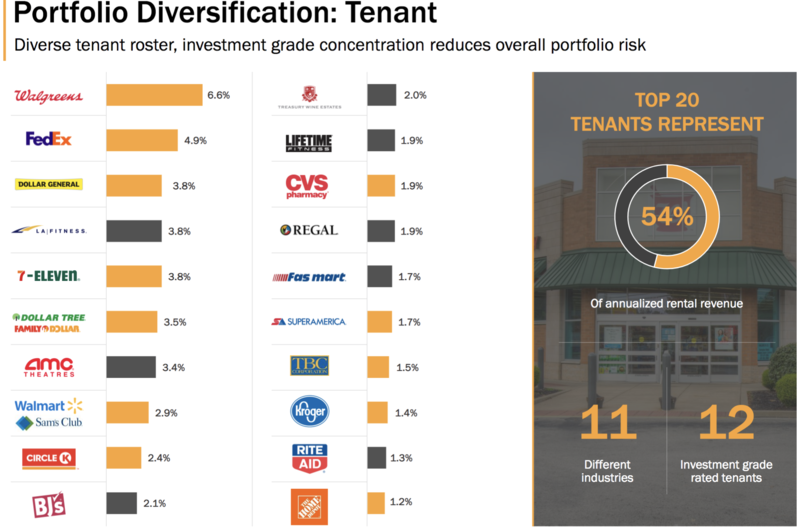 Realty Income is America’s largest triple net lease REIT with a highly diversified portfolio of nearly 5,500 retail, industrial, office, and agricultural properties in 49 states and Puerto Rico, leased to 257 tenants in 48 industries. The company enjoys a very profitable business model because its tenants sign long-term leases (the average remaining lease term is around 9 years) and agree to pay for maintenance, property taxes, and insurance. Further increasing the security of its cash flow and dividend is management’s focus on highly recession resistant tenants (75% of rent) as well as those in experiential and e-commerce resistant industries. In total, Realty Income estimates that 94% of rent is not at risk during a recession or from the increasing popularity of online retail. And because of its focus on durable tenants and high quality locations, Realty Income enjoys excellent occupancy which has never fallen below 96.6%, even during the Great Recession. Due to its low-risk business model, Realty Income has been able to grow its dividend every quarter since its IPO (24 straight years), putting it on track to become a dividend aristocrat in 2019. Impressively, the REIT has also been able to grow its adjusted funds from operations per share in 21 of the last 22 years, even during the worst economic downturn since World War II. In addition, Realty Income’s stock enjoys relatively low volatility and only fell 43% during the Financial Crisis. That may not sound like a low volatility stock, but keep in mind that the financial crisis was rather unique. Unlike most recessions, in which credit markets continue to function normally, during the Great Recession the seizing up of debt markets hit REITs especially hard, forcing many to cut dividends in order to preserve cash. As a result, the average REIT lost 64% from October 2007 through March 2009 while the S&P 500 crashed 55%. Realty Income’s 43% drop was one of the smallest in the sector. Chevron is one of the world’s largest integrated oil giants and also a dividend aristocrat. The company’s long-term-focused and disciplined management culture has proven to be the second best in the industry (behind Exxon) at lean operations and generating strong returns on invested capital over time. During the oil crash from 2014 to 2016, for example, Chevron slashed its drilling expenses by 50% and management believes it can get that figure to 80% by 2020. Simply put, the company is laser-focused on capital allocation, with 75% of its $18 billion to $20 billion annual capex budget going to projects that can begin generating cash flow within two years or less. As a result, despite relatively modest capex budgets management expects production to grow by 4% to 7% per year and fuel a 30% increase in free cash flow by 2020, even assuming oil prices average just $60 per barrel. Thanks to its lean operating structure Chevron is confident that even at $50 per barrel oil its cash flow would be sufficient to support its growth investments and its dividend, providing income investors with peace of mind. But should oil fall below that level, forcing Chevron to burn cash on hand, raise additional debt, or issue equity to fill the gap, the firm’s excellent AA- credit rating provides it with the flexibility to maintain its dividend until prices improve. Chevron’s conservative use of debt is a key reason why the firm has been able to increase its dividend every year since 1986, a period that includes no less than four major oil crashes, three recessions, and an entire decade of low oil prices. In the world of big oil, Chevron is an industry-leading blue chip that conservative income investors can rely on for the foreseeable future. Chevron’s stock performance during the financial crisis was surprisingly solid. Specifically, Chevron lost 34% while the S&P 500 dropped 55%. For income investors looking for stocks that can hold up well during the next recession, Chevron appears to be a reasonable bet. Normally one wouldn’t think that companies in cyclical industries tied to volatile commodity prices would make for good stocks to own before a recession. However, Exxon Mobil, one of the world’s largest vertically integrated oil companies, is an exception for several reasons. First, the company’s diversified business model helps smooth out earnings and cash flow during times when oil prices are low. Specifically, Exxon’s refining and petrochemical businesses benefit from low oil prices and thus become more profitable while its upstream production segment contracts. More important than diversification is the company’s track record of conservative and disciplined capital allocation. Exxon has historically been the most profitable major oil giant, thanks to management’s superior ability to identify and invest in projects that generate some of the industry’s best returns on invested capital. That’s partially due to the firm’s relatively good record of avoiding project delays and cost overruns, as well as enjoying the lowest rate of asset write-downs of any of its major peers. Especially important to its dividend safety, however, is how the company manages its debt. Exxon has the strongest balance sheet in the industry (AA+ credit rating) which allows it to borrow during industry downturns to keep investing in growth projects while maintaining its impressive dividend track record. The company has paid dividends every year for more than a century. Since 1983 Exxon has been raising its payout each year, a 35-year stretch of time that included numerous recessions, oil crashes, and a 10-year period when oil prices were around $10 to $15 per barrel. And thanks to its bold plan to boost its investment spending from $19 billion in 2016 (the peak of the oil crash) to $30 billion per year between 2020 and 2025, Exxon believes it can grow its operating cash flow by between 105% and 150% over the next seven years if oil prices average between $60 and $80 per barrel over that time. If successful, Exxon should have no trouble continuing its historical long-term 7% annual dividend growth rate long into the next decade. What about Exxon’s volatility during bear markets? Well, oil companies are inherently more volatile than most defensive stocks, but as far as Exxon goes its historical volatility is actually quite good. In fact, during the financial crisis XOM shares only lost 28% when the S&P 500 fell 55%. Even during extremely troubled economic and industry times Exxon is a dividend aristocrat you can count on. Consolidated Edison was founded in 1884 and is a regulated electric and gas utility serving the New York metro areas. Over 90% of the company’s earnings are derived from regulated activities, providing a predictable and fairly recession proof earnings stream. As a result, Con Edison has increased its dividend for 44 consecutive years, the longest streak of any utility in the S&P 500 index. Perhaps more impressively, the firm’s dividend payments can be traced back to 1885. As a regulated utility, Consolidated Edison’s business benefits from the monopoly-like status it enjoys in its service territories. Following industry-wide restructuring in the 1990s, all of the electric and gas delivery service in New York is now provided by just four investor-owned utilities or one of two state authorities. To make sure consumers continue to have dependable utility services at reasonable prices, Con Edison’s utility operations are regulated by the New York Public Service Commission, which determines the projects the company can invest in and how much profit it can make. Due to the capital intensity of transmission infrastructure and the government’s desire to keep electricity prices fair for consumers, regulated utilities usually earn a relatively low but stable return on equity. And since consumers and businesses continue to need power during economic downturns, Con Edison enjoys very stable earnings so long as it completes its projects on time and on budget. The utility’s financial flexibility and dividend are supported by its investment grade credit rating as well. Finally, management targets a rather conservative payout ratio (for a utility) between 60% and 70% which should further ensure the dividend’s safety during the next recession. Pepsico is one of the oldest (founded in 1898 years) and largest drink and snack makers in the world, selling dozens of brands in over 200 countries and territories. The company owns 22 iconic brands (such as Pepsi, Gatorade, Tropicana, Lays, and Quaker) which each generate over $1 billion in sales. Like Coca-Cola, Pepsico’s products are recession resistant since people need to continue eating and drinking no matter how the economy is performing. In fact, the company’s sales dipped just 0.5% during the Great Recession and its free cash flow per share actually increased. Pepsico’s wide moat is courtesy of its strong brands, built up over more than 100 years of steady advertising. The firm owns the top seven salty snack brands and claims that 90% of its retail sales are from brands with No. 1 or No. 2 sub-category share position. Pepsico also boasts the industry’s second largest distribution network which ensures it maintains dominant shelf space with retailers and can quickly scale new products it develops or acquires. That’s an important advantage since Pepsico’s long-term strategy is to diversify away from its namesake sparkling soda brands and into healthier offerings including in snacks. For example, today over 40% of Pepsi’s sales are from products with under 100 calories per serving, and it continues to expand its healthier offerings. That includes the launch of Bubly sparkling water in 2018. The company also recently announced the $3.2 billion purchase of SodaStream which is part of the company’s long-term strategy to generate 66% of beverage volumes from healthier, lower calorie options by 2025. Pepsico also enjoys some of the strongest economies of scale, which allow it to run its business with extremely competitive operating costs. Management’s current initiative is designed to cut annual costs by $1 billion over the next few years, which should further boost the company’s solid margins. Continued expansion of its healthier brands, as well as benefits from its leading market share positions in key emerging markets, should support Pepsico’s ability to continue growing its earnings and free cash flow per share at a mid-single-digit annual pace going forward. With a 45-year dividend growth track record and uninterrupted dividend payments dating back to 1965, income investors can sleep well knowing that Pepsico’s payout should remain safe in virtually all manner of economic environments. PEP’s stock has proven to be defensive as well. While the S&P 500 lost 55% during the financial crisis, shares of Pepsico performed much better, declining only 35%. For these reasons, Pepsico is arguably one of the best recession proof stocks in the market. Like Procter & Gamble, Kimberly-Clark is a time-tested (founded in 1872) consumer staples behemoth, selling name brand products as Cottonelle toilet paper, Scott paper towels, and Huggies diapers in over 175 countries around the world (emerging markets account for around 30% of sales). Demand for these products is recession resistant which is why Kimberly-Clark’s earnings and free cash flow per share actually increased during the Great Recession, and its sales only dipped 4.3%. Due to its strong portfolio of brands, Kimberly-Clark commands No. 1 or No. 2 market share in 80 countries and enjoys a wide moat thanks to retailers giving its fast-selling products preferred shelf space. Combined with the hundreds of millions of dollars the company spends on advertising and R&D each year, this makes it challenging for rivals to steal its sales. The mature nature of the tissue and hygiene markets adds to the difficulties new entrants face. Product use cases in these markets don’t change much over time. For example, diapers will continue doing the same job with only incremental technology improvements, such as better sealing. The industry’s slow pace of change reduces the number of opportunities other players have to jump on trends Kimberly-Clark might not have recognized. Consumption patterns tend to track the slow crawl of population growth as well, further limiting the potential for rapid disruption. Another competitive advantage Kimberly has is its FORCE (Focused on Reducing Costs Everywhere) cost savings plan which has reduced operating costs by $3.3 billion over the past 13 years. For a company with under $20 billion in annual revenue, this is a significant sum and helps Kimberly-Clark generating excellent free cash flow each year. Going forward, Kimberly-Clark thinks that ongoing cost cutting, as well as expansion overseas, should allow it to drive mid- to high single-digit (4% to 9%) growth in earnings per share and its dividend. The firm has paid dividends for more than 80 years, including annual increases every year since 1973. That streak should continue regardless of the economic environment. Kimberly-Clark will never be a fast-growing company, especially as it continues combatting private label products and the rise of online product distribution. However, it remains one of the best recession proof stocks that investors can hold with little fear of a drop in dividend income or a permanent loss of capital. Leggett & Platt is another name in a cyclical industry that has proven that conservatively run industrial companies can still be dependable high-yield dividend growth investments. Leggett & Platt is over 135 years old and has built itself into a leading global provider of components used in bedding, furniture, carpet, automobiles, aircrafts, and other products. Some of its offerings include innersprings, recliner mechanisms, adjustable beds, steel wire, seat frames, carpet cushion, and armrests. The manufacturer’s competitive advantages, and what makes it a good recession stock to consider, include the slow-changing nature of its markets. The problems solved by mattresses and furniture are timeless, and the majority of bedding and furniture purchases are made to replace existing products. As a result, most of Leggett & Platt’s products have long lifecycles and low R&D intensity since they do not have to be continuously redesigned. In fact, Leggett & Platt usually spends less than 1% of its revenue on R&D, but thanks to its long operating history the firm has built up over 1,300 patents that give it strong pricing power with customers. Meanwhile, the firm’s global and integrated supply chain (over 120 facilities in 18 countries, plus its own steel mill) means it is able to produce its products at costs below those of most rivals. Essentially, Leggett & Platt is able to control its costs much better than its smaller peers which is why during the Great Recession, despite a nearly 30% decline in revenue, the company was able to grow its free cash flow per share, providing nice protection for its dividend. Over the long term, Leggett & Platt’s strong balance sheet (BBB+ credit rating) and management’s growth plans (high single-digit earnings per share and dividend growth), along with a reasonable payout ratio target between 50% and 60%, should allow this dividend aristocrat to continue rewarding investors with safe and steadily rising payouts. And despite being an industrial company, Leggett & Platt’s stock price volatility has been somewhat lower than the broader market’s over time. That includes the financial crisis when shares fell 44% as the S&P 500 lost 55%. This little-known industrial stock can be an attractive holding even during recessions. Despite the long-term secular decline in U.S. smoking rates, Altria has managed to become one of the best performing stocks of the last few decades, thanks to its advantaged business model. America’s largest tobacco company commands dominant market share as a result of its portfolio of leading cigarette brands including: Marlboro, Parliament, Virginia slims, and Benson & Hedges brands. Marlboro alone commands about 40% of the U.S. cigarette market. Altria is also dominant in chewing tobacco (55% market share), cigars (26% market share) and has a fast-growing smokeless business (vaping) and wine division as well. Fundamentally what makes Altria a potentially great recession proof stock is that its customers are extremely brand loyal and continue to buy its products no matter the state of the economy (sales grew in 2008 and 2009). This gives the business very strong pricing power (historically the company has raised its cigarette prices 4% to 5% annually) which is how Altria is able to slowly grow revenue despite steady volume declines in U.S. cigarettes. And given its substantial economies of scale, Altria is able to generate enormous margins on its products. In fact, the company typically converts about 30% of revenue into free cash flow to pay its generous dividend. Combined with management’s strict policy of paying out 80% of adjusted EPS each year in dividends and the firm’s excellent A- credit rating, Altria’s payout is likely to remain very safe. Going forward, Altria’s plan to keep growing the dividend (which has been raised 53 times in 49 years) is predicated mainly on two things. First, it has a multi-year $2 billion cost saving plan in place which it believes will improve its operating margin from 40% to 45%. Second, the company plans to continue leveraging its industry-leading brand power to raise prices and offset falling cigarette volumes. Over time industry volumes are expected to fall about 3.5% per year. However, thanks to higher prices, lower costs, and a steady stream of buybacks, Altria has potential to continue generating mid- to upper single-digit long-term EPS growth (in line with its historical norms). That should translate into healthy dividend growth. Altria will also use some of its growing cash flow to continue expanding its position in the cigarette alternatives market, which includes smokeless, vaping, and heated tobacco products. Investors can learn more about Altria’s positioning and some of the latest developments here. Despite gradually falling cigarette volumes and the industry’s ongoing evolution to favor reduced-risk products, Altria seems likely to remain a strong recession-proof investment. During the financial crisis the company’s stock only declined 20% while the S&P 500 plunged 55%. This cash cow should remain a durable and financially healthy business for the foreseeable future. Coca-Cola is the world’s largest beverage seller, marketing over 3,900 products under 500 brands in more than 200 countries and territories via 24 million retail markets. The company owns 21 brands that generate over $1 billion in sales including: Coke, Powerade, Dasani water, and Simply and Minute Maid juices. Coke’s wide moat is courtesy of the world’s largest distribution network which has taken over 130 years to build up at a cost of tens of billions of dollars in marketing spending. Smaller rivals simply can’t replicate the company’s reach or brand awareness. As a result, Coke enjoys premium shelf space in almost every retail outlet in the world. Coca-Cola’s plans for the future include continuing to diversify into healthier options where it has less share today, such as teas, juices, and water. These markets continue to grow strongly in both developed and emerging economies. Recently this focus on healthier beverages has helped drive mid-single-digit organic sales growth, which is among the best in the industry. Meanwhile, the beverage maker plans to refranchise its capital-intensive bottling operations (over 900 plants worldwide) which will drastically reduce its annual costs. Once its restructuring is complete, Coke expects its operating margin and free cash flow margin to rise to 34% and 27%, respectively. As the company’s future profitability climbs to ever higher levels, Coke’s stream of free cash flow should become even stronger to continue the firm’s impressive dividend track record. That record includes annual dividend increases for 55 consecutive years (since 1963). Management targets a reasonable 75% payout ratio over time and expects to continue to grow the dividend as a function of free cash flow. While the firm does need to invest somewhat aggressively in beverage categories of the future, Coca-Cola should have flexibility to keep its dividend moving higher along the way. From the company’s excellent credit rating to its recession-resistant portfolio (sales declined just 4.8% during the financial crisis), support for the payout is solid. Meanwhile, investors enjoying Coke’s dividend can also expect below average volatility. During periods of maximum market fear, Coke shares tend to do even better. For example, during the financial crisis shares lost just 31%, outperforming the S&P 500’s slump by about 24%. The bottom line is that Coca-Cola remains one of the safest consumer staple stocks you can own if the economy hits a downturn and brings on a bear market. Johnson & Johnson is the largest global medical conglomerate with over 250 subsidiaries operating across more than 60 countries. The firm’s three business segments provide J&J with a very diversified mix of revenue, earnings and cash flow. However, the Pharmaceuticals division is the largest contributor, accounting for over half of total pretax profits. Johnson & Johnson has managed to raise its dividend each year for more than half a century, demonstrating its ability to endure many different economic environments. A key to the company’s success is management’s focus on only competing in markets that J&J can dominate. In fact, about 75% of the firm’s revenue is from No. 1 or No. 2 global market share positions. Over 20% of sales are also from new products launched within the past five years, highlighting the company’s ability to continuously innovate and adapt. Each of J&J’s three operating segments is driven by different factors as well, with the consumer business providing the most predictable cash flow to fund growth in drug investments. This diversification further bolsters the company’s resilience to economic cycles and helps fund innovation and acquisitions. During recessions, consumers still need to have their medical issues treated. As a result, Johnson & Johnson’s sales only declined by 6.2% during the financial crisis, management continued raising the dividend, and the company’s stock lost half as much as the broader market. With one of the strongest credit ratings of any company in America, a cash hoard on its balance sheet, and a payout ratio not far from its pre-2008 level, J&J remains a dependable recession proof stock. In business since 1837, Procter & Gamble is one of the world’s largest consumer staples companies, selling 65 products in over 180 countries. Its strong portfolio of brands includes 21 products which generate over $1 billion in annual sales. These strong brands give it industry-leading market share in products that consumers buy no matter what the economy is doing. As long as P&G continues to invest in R&D to stay on top of evolving consumer preferences and invests in the right advertising and distribution channels, its business should remain a force for many years to come. In recent years Procter & Gamble has undergone a major restructuring, selling over 100 of its smallest and least profitable brands (about 15% of total revenue) to refocus its investments on its strongest and most profitable ones. As a result, the business was able to reduce costs by $7 billion. Going forward, management expects to cut an additional $10 billion over the next five years by improving the firm’s factory automation, streamlining its supply chain, and refocusing its advertising budget. If successful, these initiatives should boost P&G’s already impressive free cash flow margin, which at 15% is among the highest in the industry. That in turn should further increase its free cash flow per share, which actually rose during the Great Recession. As a result, P&G should easily be able to continue one of the most impressive payout growth track records on Wall Street. One that includes increasing the dividend every year since 1957, which covers numerous troubled economic periods. And all while delivering well below average stock price volatility. For example, Procter & Gamble’s shares lost 36% during the financial crisis, much better than the broader market’s 55% slump. This consumer staples blue-chip stock is a solid choice for recession-proof portfolios.